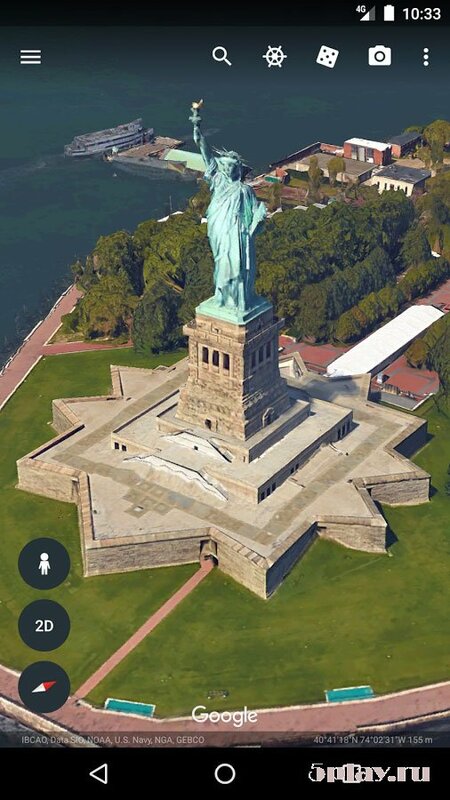 Fans of virtual travel liking Google Earth for Android. With "in absentia" to visit any country of the globe to visit all corners of the Earth. 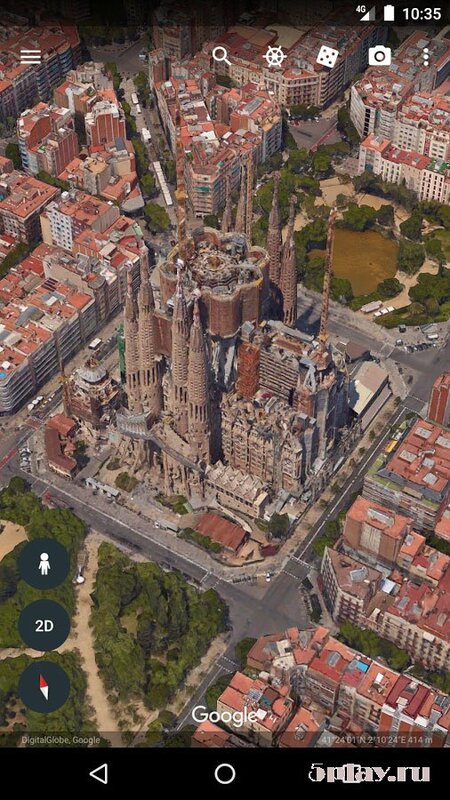 The program is based on a compilation of satellite images in real time. These pictures are superimposed on the coordinate system of the globe with stunning accuracy. 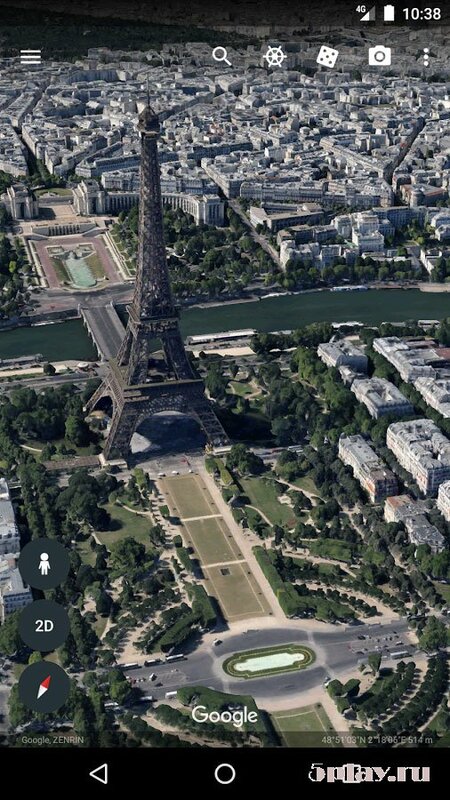 Realistic view of a virtual planet is becoming because of the clarity made by satellites images. Modern satellite systems allow the user to look at selected places with different heights, as much as possible to get some meters to the surface. Excellent detail of the earth's surface will help to get acquainted with the landscape, topography, water areas of States and continents. 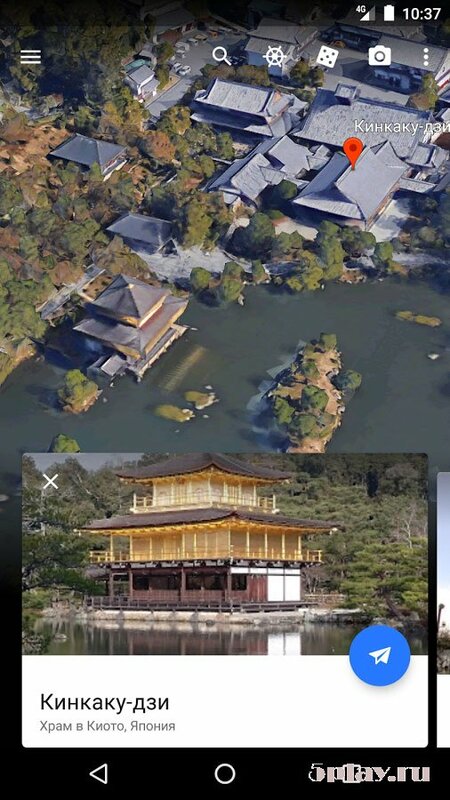 In Google Earth there are additional functions: viewing of the sky, study water bodies with a possibility of virtual immersion, viewing the history of a selected place or city in the last few years. You can find the place just enter the title in search engine. Control is mouse or special "navigation compass".